Note: This petpage is best viewed in safari, at a resolution of 1280x780. Note to TNT: I was NOT in anyway, forced, asked or told to make a petpage application. Reve left it up to me to make any kind of application. Thank you. Welcome Reve to my petpage application for your lovely draik, Sephrain. I hope you will forgive me for any insanity that happens. With that aside, I hope you'll enjoy reading my application, just as much as I enjoyed writing it. Hi again Reve. My name's Nanina, but please, call me Nina. I've been a neopets user for almost two years. If you're wondering, my draiks were created on 9-9-09. When I joined I noticed them and thought they were cute, so I decided to create them. Since then they've been my pride and joy. Normally I do not chat on the Neoboards or chat in my guild. Then again my guild has only one member at the moment. I do, however, enjoy playing the P3 Habitarium that TNT released. My favorite P3 would have to be the Mootix, since I love their color. I'm not a restocker and I don't keep track of the Neo stock market. I never really understood either of those so I didn't really bother. Most of my pets typically stay in the Neolodge while I scramble to save up enough NP to buy them some really nice items. I can't buy anything from the Hidden Tower so I can't promise anything expensive. While off of neopets, and on neopets as well, I enjoy drawing. I can find inspiration from all over the site. Such as Faerieland, Haunted Woods, just to name a few. I even get inspired by my friends. I also sing whenever I get the chance. It's something I enjoy doing when I run into an artist block. I will also begin to write. Well sometimes...since the artist block seems to go into a writers block as well. It's not fun either. Some other things that I enjoy are video games and Anime/Manga. My favorite anime right now would have to Angelique...though there are several others that I like. Like Pokemon, Digimon, Bleach...things like that. As for video games I stick with titles within the RPG genre, since I enjoy the storyline within the game. If you've heard of Tales of the Abyss, Tales of Vesperia, Okami and other games like that, then you'd be able to get a better idea of what I mean. I also enjoy the plots that TNT come up with. Oh before I forget...I'd like to list my accounts and tell you which one I'd like to adopt Sephrain on. On another note, I do like to bake when I'm not on Neopets. Because of that I tend to haunt places on Neopets that remind me of bakeries...I guess that's why some of my neopets enjoy baking. That's all I can really think of about me. Before I forget, I realize that my main account, faeraniel, has four neopets. Next month I'm planning on moving Nana_lu to a side account. Just thought I'd mention that in case you were wondering about her. The reason I wanted to adopt Sephrain is because I feel like she can complete my neo-family. She wouldn't be treated like a "trophy pet" or anything like that. To me she is more than just pixels, to me she seems real. Just like my other pets. I also have a ton of ideas for her and I am hoping I'll be able to get the chance to use the ideas for her. I don't want to adopt her because she's "limited edition" or because she's really sought after. I don't even want to adopt her for trading. I wanted to adopt her because I truly feel a connection with her. I have many plans for Sephrain, or Rain as I'd like to call her. She'll be given a nice petpage, a pet lookup and a personality. (I'll be giving you a sample of her personality in a story after this.) She'll also be entered into the Beauty Contest and given a petpet. When the Altador Cup returns, she'll sport her favorite team's background for all to see. I'm also hoping to one day see her as a notable neopet. I believe she deserves it. I'd also like to repaint her if I can. She'd be painted: Pirate, Royal and then Desert again. If you prefer her not to be repainted, I can leave her as is, paint my other draiks and put the paint brush clothing onto her. Either way is fine. I might've forgotten some items. If I did then I'd like to apologize for that. I forgot that there are some NC items that are more difficult to find than others. I do have an image of what she'd look like with some of the items. Background: After having been swallowed by the sands of the Lost Desert, Sephrain has found life under the sands not so bad. It doesn't get too hot but it does, at times, get a little too cold. She helps out the lost travelers that happen to get caught within a sand trap. She helps them and will often travel with them through the desert, warning where a sand trap lies. She has become an expert on the sands and has often thought of writing a book about it. Personality: Honest, caring, helpful, shy, quick, and regal. The light of the sun was harsh, often blinding those who dared the desert in the early morning hours. The wind was cool but it gradually began to get warmer. Many of the dunes looked the same, never ending and never changing. Many walked over them, never knowing that sometimes they caused a cascade of sand fall into an empty cavern deep below. One such Neopian, oblivious to the dangers of the sand, began her climb up a sand dune that seemed to go on forever. Sweat covered her brow and her water supply was getting low. Somehow she had gotten separated from the caravan that she was traveling with, so she decided that climbing the highest dune would be a grand idea. Breathing heavily with effort she finally reached her destination. Surprisingly it took her the better part of the morning just to climb it. Dismayed, she began to wonder if she'd even be able to see the caravan. Surely it was already far out of sight. Be careful young draik. Lest you get swallowed by the sands. an elderly aisha warned, hobbling off into the distance. The draik shook her head and continued to gaze around. After about an hour she decided to continue on her own. Forgetting the warning from the aisha, she slid down the dune. Suddenly, she began to sink into the sand. Confusion led to shear panic as she tried to break free from the sand. To her horror, she couldn't break free, thus she continued to sink and before she could do anything she lost consciousness. After what seemed liked hours, the young draiks eyes opened. Looking around she noticed a large cavern filled with sand. She shivered and wondered if she was even alive. She flinched as she pinched herself to make sure she was still alive. Great, how am I going to escape? she thought as she gazed around. For miles and miles, she couldn't tell which way was the right way. But for now, she thought, it would be best to rest awhile longer. That was just a sample and is always being revised. I have many ideas but I just thought writing a small sample of one idea would be a good idea. Well that's the end of my application for the lovely Sephrain. I enjoyed writing it and I hope you enjoyed reading it. By no means is the story complete. It's an ongoing story that I hope to share with Sephrain if I'm chosen as her new owner. Thank you again Reve. Not only for allowing me to apply, but thank you for reading my application. Take care! This is a little update for Reve. It's a temporary fix with the different background, meaning the one for the table. I couldn't figure out how to fix the coding on short notice since I wasn't sure how quick you were going to look through the applications. So I did a temporary fix. By no means am I lazy, I just need to figure it out slowly. *Rubs the back of her head. * I did this coding on my own, so it'll take awhile to figure out how to fix it. Sorry if it looks different or weird. The background and dragon drawing belongs to me. 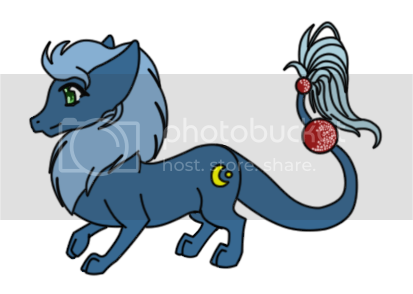 All neopets images belong to neopets. Note to TNT: I don't plan to keep the credit for the site covered up. Once I figure out how to code well, it'll be shown like always. Sorry for the inconvenience.